Well, he said he's probably just stick with Ebbe, and he did. I still think Alt Linden would be a fun, um, alternative. (You know, Altberg and all that.) 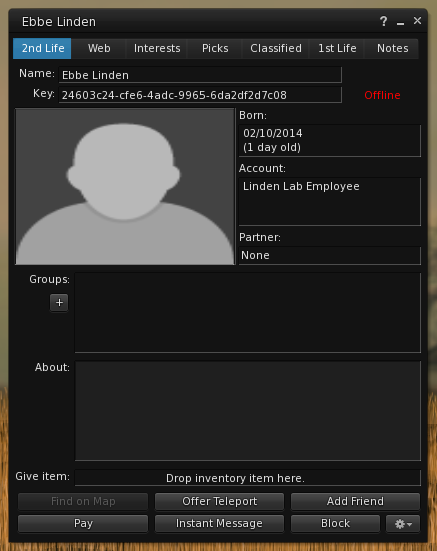 We look forward to meeting you inworld, Ebbe!